All I have to say about this is … wow. When the news hit on Wednesday, I was literally shocked; as I pride myself on keeping up with the local Philadelphia development scene. Although, I am not a professional blogger or journalist; it’s more of a hobby for me. Not only was Comcast able to keep the details of such a large project completely hush-hush, but they really outdid themselves with its location, design, and overall utilization. Rumors had been circulating, via local photo-blogging expert Bradley Maule, but the specifics were non-existent. So, what does this building mean for Philadelphia? IMHO, a lot. But before I get into why I think this project is an amazing step forward for our great city, along with having impeccable timing, I’m going to lean on my pal Liz Spikol for the project details. Before we get into some of my own thoughts/opinions, check out the video below for a well-done virtual tour. 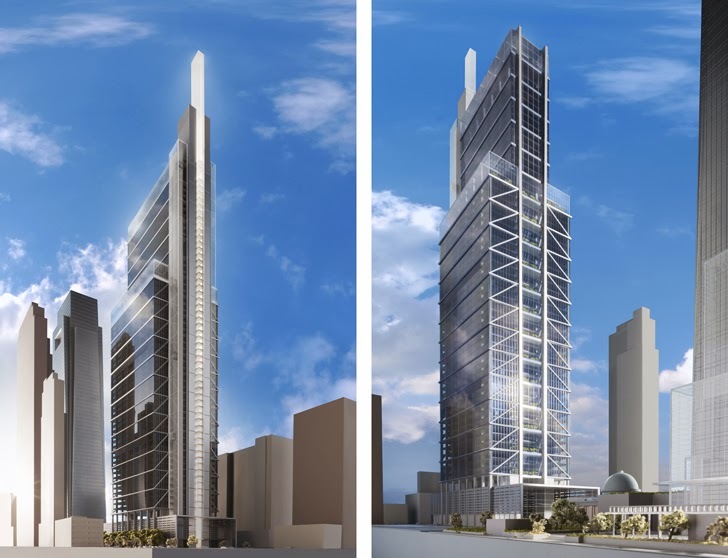 That is one awesome project, and it will be the tallest building to-date in Philadelphia. 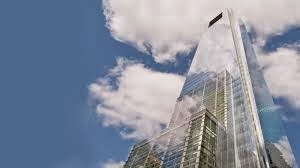 When the Comcast Center was built/completed back in June 2008, it was a huge statement for our fair city. It meant that our local, urban economy could still support an HQ for a company as big as Comcast; considering they were also looking at their options in NYC (which almost went the way of Verizon back in 1996). This development also meant that our downtown was about to change. These days, especially with the next real estate wave right in front of us, Center City is booming. New restaurants, new shops, new museums, new apartments, new buildings, new companies, new events, and lots of new people. Center City Philadelphia is considered to be the 3rd most populous downtown in the US (again, behind NYC and Chicago), and it’s the heartbeat of Philadelphia’s resurgence as a world-class city. Okay, that’s enough history. Now for the fun stuff. As a blogger, I am of the opinion that my role is to not only find interesting news that others might enjoy, but also to provide constructive criticism based on what I read. If I didn’t include the latter, all I would need to do is copy/paste links. But where’s the fun in that, right? So if you happen to be a regular reader (and please know that I appreciate all of you), you know that I typically break down Philadelphia news into small pieces in order make your reading more simple and enjoyable. 1. 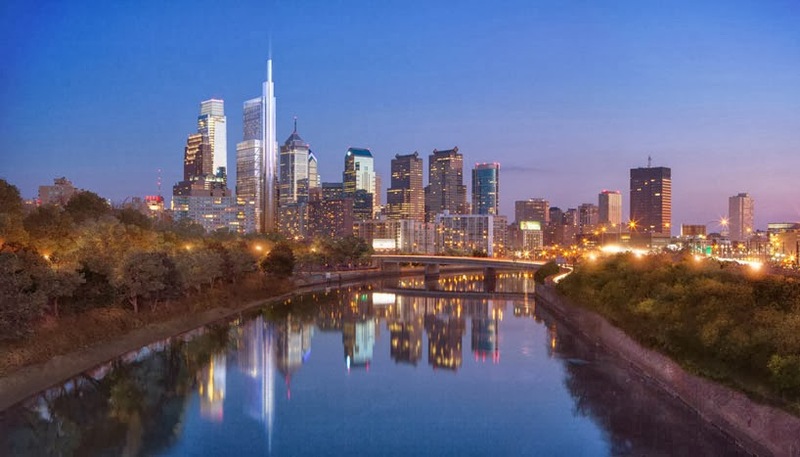 Location, Location, Location: The 3 most important words in real estate could not be more relevant when discussing the Comcast Innovation + Technology Center (CITC, as it’s been dubbed already). First, the building is just across the street from the existing Comcast Center; smart move. Second, the location allows for an extension of the underground concourse to Suburban Station; good thinking. And third, it’s located in the middle of Philadelphia’s business district, which helps create synergy among those who already work in the area while adding appropriately to our ever-changing, dense skyline; bravo. 2. Lots of permanent jobs, which can easily translate into additional jobs: Most of what I have seen thus far has stated that the new CITC will create 1,500 permanent jobs, but that’s just the start. Not only will this project solidify Philadelphia’s reputation as one of the world’s leading cities for media innovation, but it helps provide a base for all of the recent smaller, start-up companies that also call Philadelphia home. This is where additional jobs could be created, through incubation and collaboration with one of the largest companies in the world. 3. It’s Comcast: I know the title of this last one may shock you, but it’s important. From a customer service standpoint, Comcast is known to have a less-than-stellar reputation; I can also attest to that, as I am a current customer myself (sorry, Comcast). However, the acquisition of NBC Universal has literally “electro-shocked Comcast back into coherence” (as once quoted by George Costanza). In other words, Comcast is now considered the largest mass media and communications company in the world. With Comcast committed to taking at least 75% of the space at CITC, it creates a huge presence for the media giant and allows others to feed off of that energy. That is why having a large company (like Comcast) associated with this project is so important, as opposed to just having a developer propose the building without having tenants in place. Whew, and there you have it. My two cents on a platter. Comcast’s Innovation + Technology Center is going to redefine Center City Philadelphia in the years to come, and it has the potential to redefine our entire region on a global scale. Next How do you know if the home you buy is considered “affordable”?